BeatWoven collection created using one of the British favourite classical masterpieces, Rachmaninoff Piano Concerto no.2, using its bespoke trademark technology to translate any type of music into woven pattern. A Creative Journey - Rachmaninoff. A commissioned for the Southbank Centre and their 'Festival of Love'. 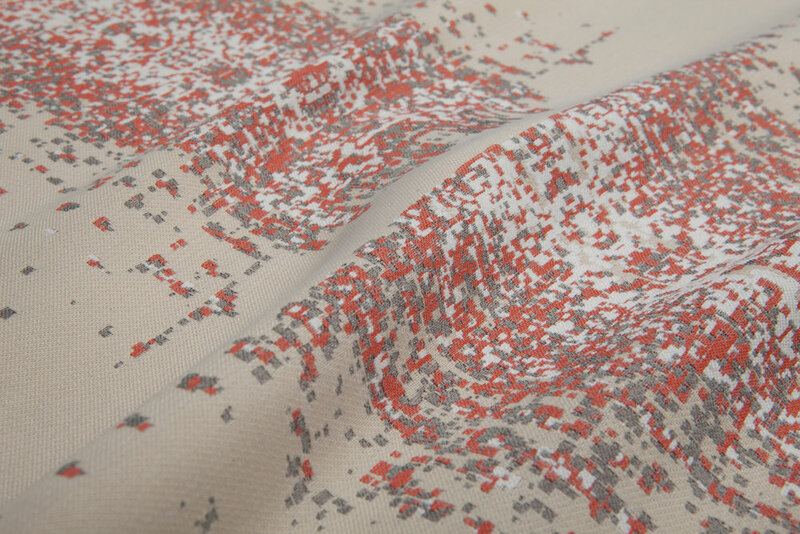 BeatWoven couture fabrics were created by translating Rachmaninoff Piano Concerto No.2 especially for their screening of the famous British Love film 'Brief Encounter' (1945), with live score played by the London Philharmonic Orchestra in the Royal Festival Hall. All are woven using silks, wool and exclusively spun metallic yarns of antique copper and steel silver.